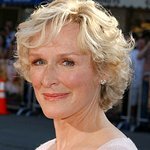 Glenn Close has donated $75,000 to the Mental Health Association of Central Florida. The six-time Oscar winner made the donation on Thursday, prior to speaking at the organization’s fifth annual Legacy Of Champions luncheon. The Mental Health Association of Central Florida provides mental health services, support and information to the members of the Central Florida community. Find out more here.